Why wait to build when this stunning, 3,734 sq. ft. already built custom home on over 2 acres is move in ready? Get the most bang for your buck. You couldnt even break ground and build this home at its current price point. Looking for a quiet country lifestyle with peace, tranquility and luxury on acreage? 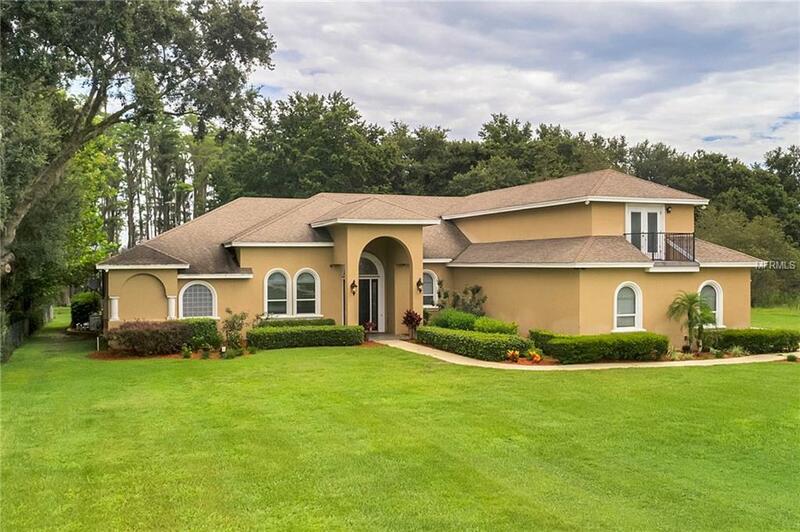 This executive, custom built home sits on a lakefront lot with no HOA is waiting for you to come and experience all it has to offer! 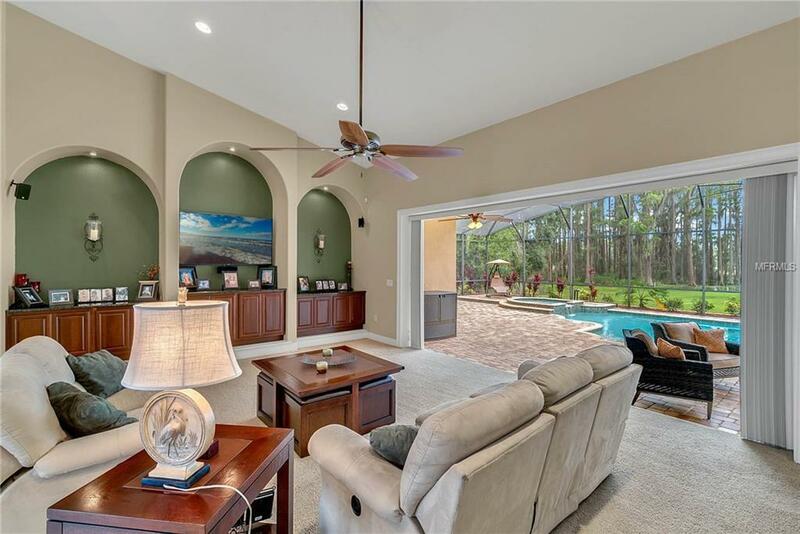 Upon entering the front door, you will notice the open floorplan, soaring ceilings and your eyes will immediately be drawn to the peaceful view outside, including the cypress lined lakefront you can see through the oversized pocket sliders. 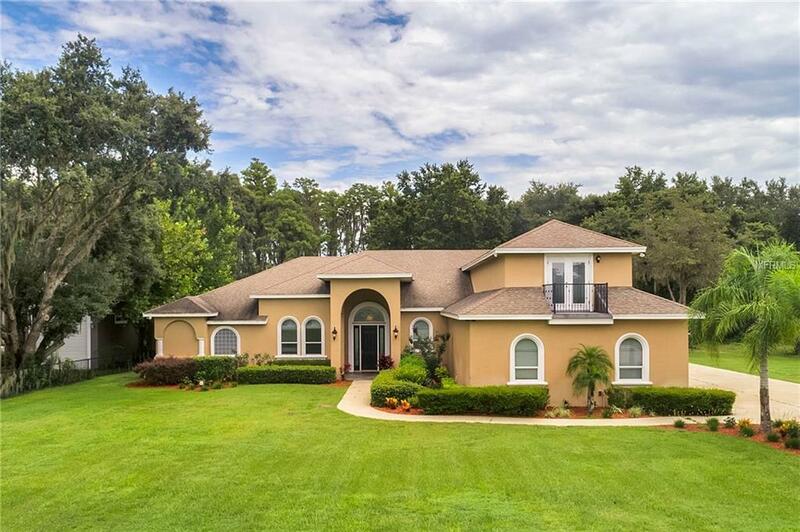 The layout of this home provides the perfect setting for entertaining, and the inviting pool and outdoor kitchen under the cabana provide another living area excellent for those family gatherings or weekend lakefront parties! Much thought and care was given to the home as it was built from the oversized (4 car) garage, travertine flooring, central vac system, split bedroom layout and the bonus area that includes additional rooms and bathroom making it a great area for a man-cave, mother-in-law or teen retreat. There are two areas for an office, or they could even be converted to a 4th bedroom. 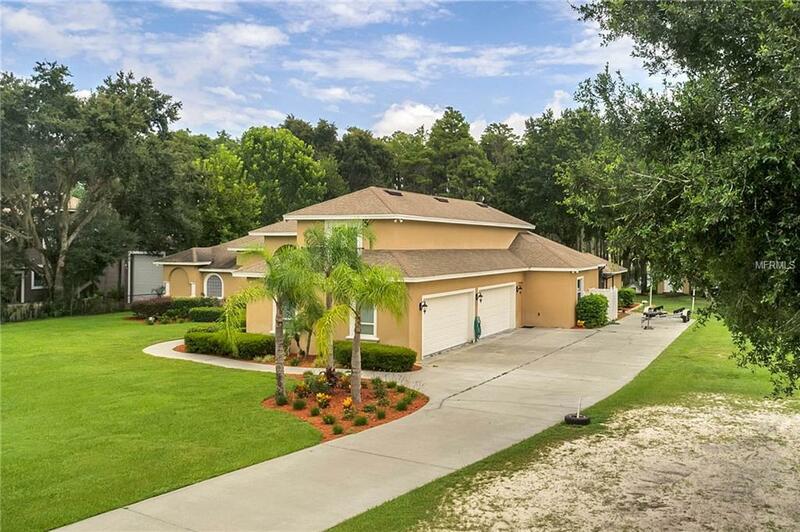 This home has been impeccably maintained through the years including a new AC in 2018. You must see this home to appreciate all it has to offer! Call today to schedule your showing and make sure you ask for the features sheet! Listing provided courtesy of Kw Elite Partners Iii. © 2019 My Florida Regional Multiple Listing Service, Inc. All rights reserved. All listings displayed pursuant to IDX. All listing information is deemed reliable but not guaranteed and should be independently verified through personal inspection by appropriate professionals. Listings displayed on this website may be subject to prior sale or removal from sale; availability of any listing should always be independently verified. Listing information is provided for consumers personal, non-commercial use, solely to identify potential properties for potential purchase; all other use is strictly prohibited and may violate relevant federal and state law. Data last updated 2019-04-23T18:43:48.153.